On May 11th afternoon the weather and the weatherforecast were not excellent. But Peter Morth and Manfred Schwarz called in for a try to test our luck again and go for the comet Neat. 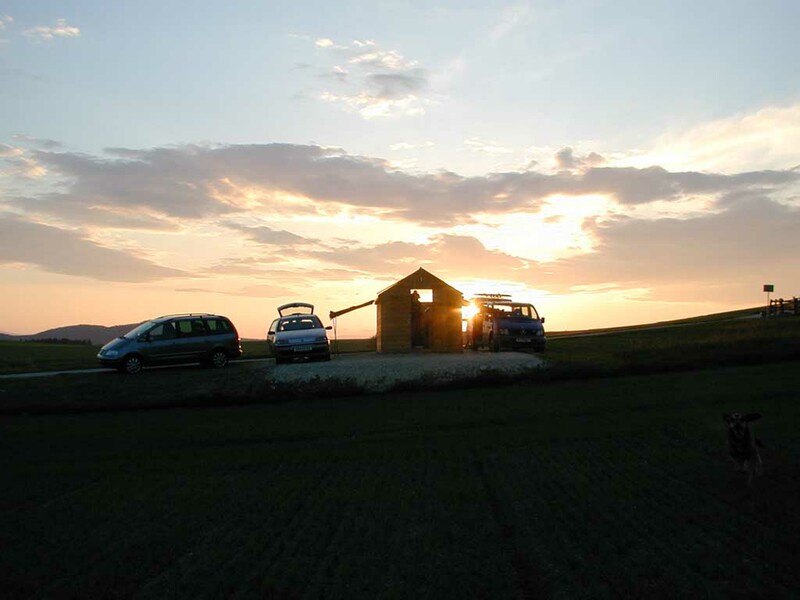 Location planned to go was the Observatory of Manfred Schwarz in Eastern Austria (Bucklige Welt). During our drive in the highlands of the so called "bumpy world" the sky improved and at our arrival we had a perfect clear southern and western horizon. 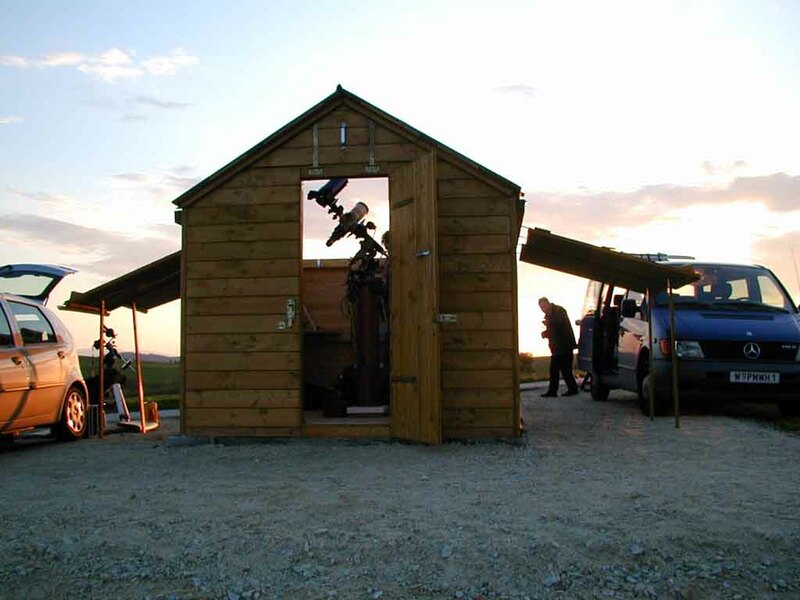 We used Venus to align our mounts into the northern direction. This was not so easy but a beautiful sundown and the now perfect sky kept our good mood. 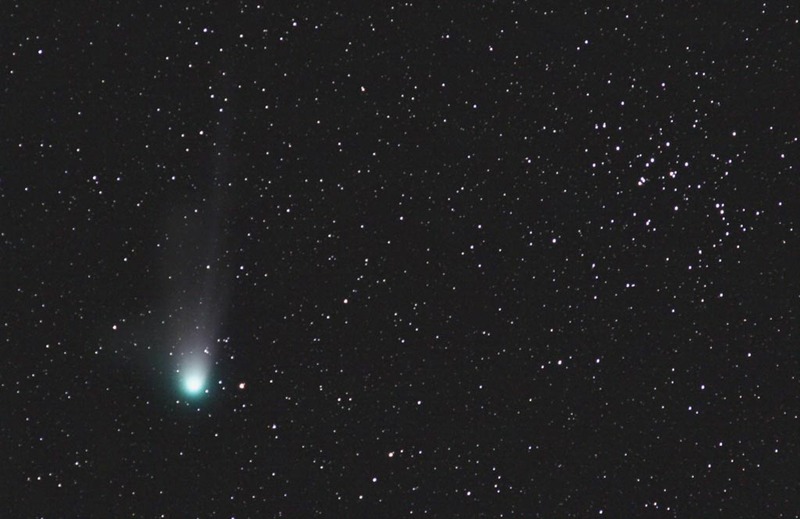 Finding comet Neat in the dawn was very difficult. 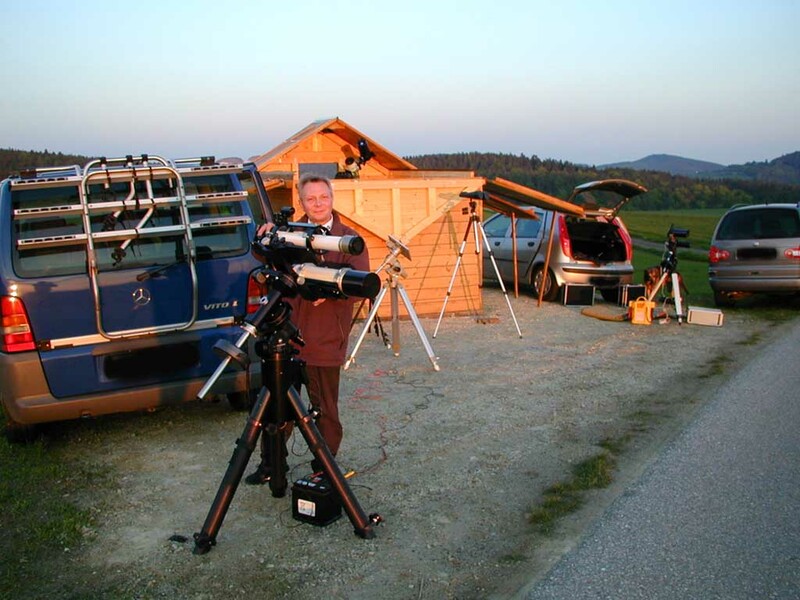 And as expected Manfred Schwarz in the observatory with the permanent mounted telescope was the first one to cry "i hob eam" - thats typical Austrian language and means "Gotcha"! Soon after that we were able to see the tiny patch of Neat in the bino. 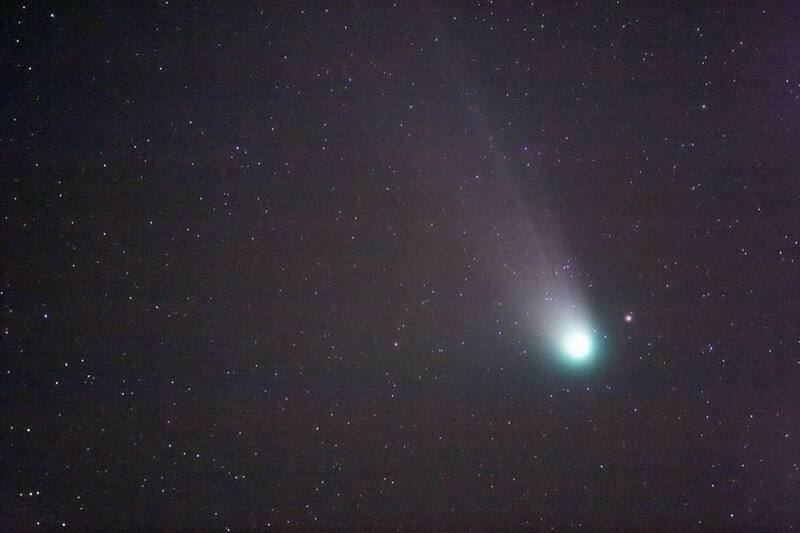 This helped Peter and me to get also finally the comet into our guiding eyepieces. So, our photosessions could start. All 3 of us are using a Canon 10D DSLR camera but with different lenses from 300 to 500mm focal lenght. We were really lucky with the weather as it stayed perfect for the time Neat was above horizon. When Neat started to set, clouds drove in, the sky was covered fast and we had a reason to get home early! 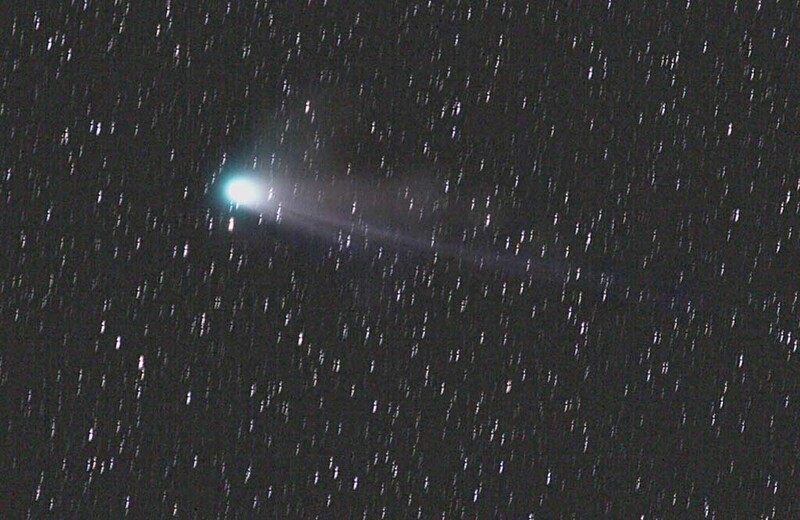 See below a first image of Comet Neat, it was shot with the Canon 10D with my 300mm Sigma Apo lens mounted on a EQ-5 mount together with an ETX90 guidescope. 28 images with 1 minutes exposure each at 3200 ASA were stacked with ImagePlus 1.72. Flatfield subtraction and darkfield subtraction was done with ImagePlus also. 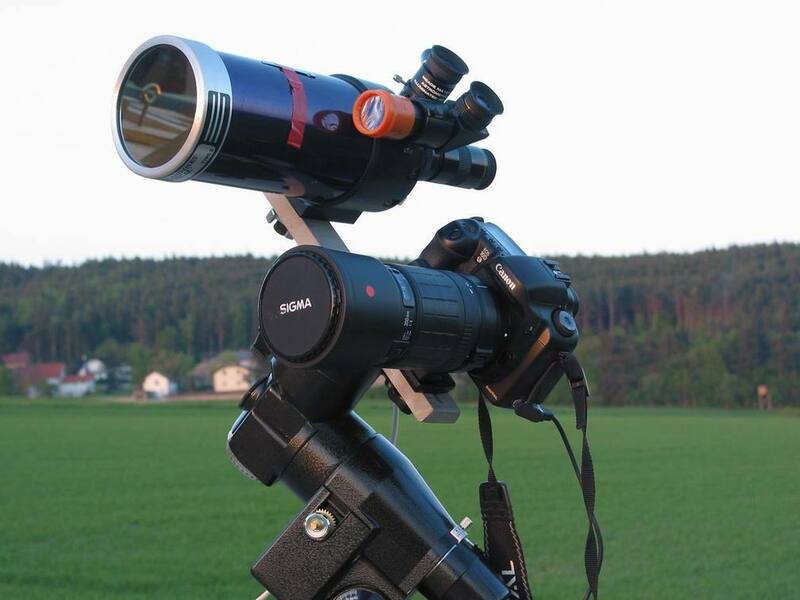 Thanks to Manfred Schwarz who borrowed me his flatfield device to make artificial flatfield images for the 10D. This eliminates vignetting nearly complete. Just running drift align on the Sun. 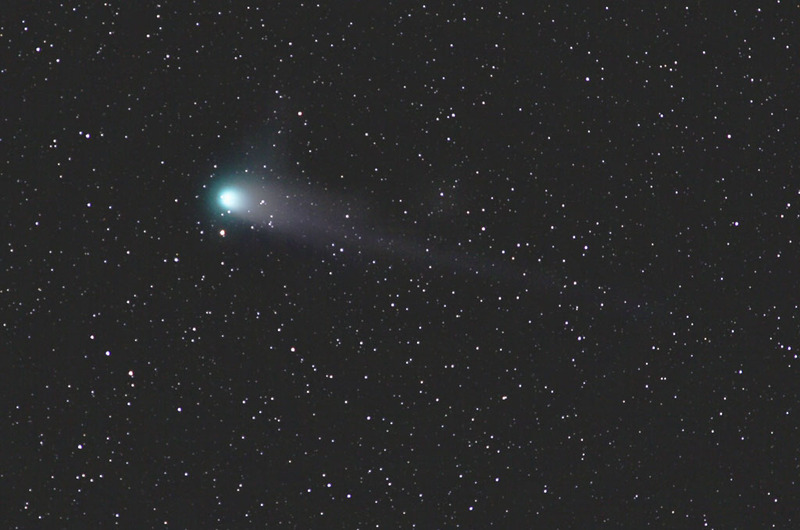 Skywatch of Comet Q4 Neat with M44 on May 14th 2004 in the "Bucklige Welt"
This day our friends Gerhard Eber, Franz Gruber and Manfred Fischer joined us to image comet Neat together with Open Cluster M44. The weather this day was good at the beginning but later on some thin clouds and fog disturbed the view. We were running an interesting test also, as 5 of us are using the Canon 10D for astroimaging, except Gerhard Eber, he uses a brandnew Nikon D70. Will be interesting to see the comparisons. Hope i can get an image from Gerhard to show the comparison here. 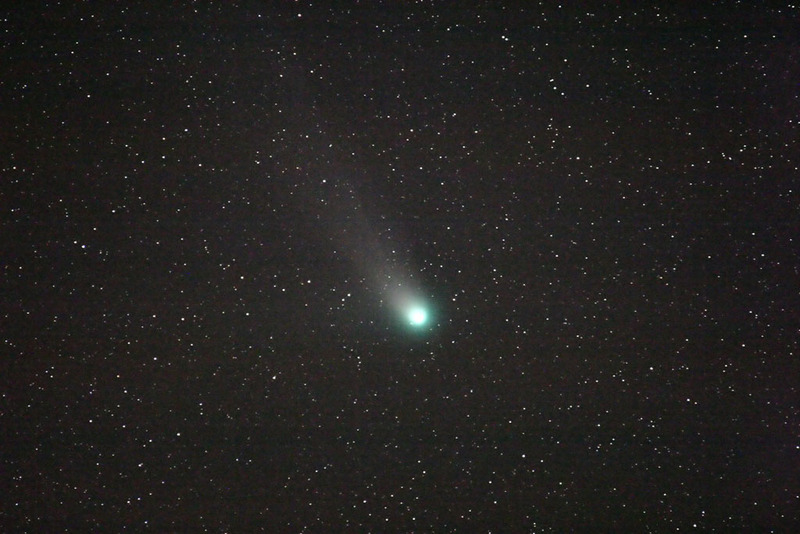 This day i was alone at the observatory place of Manfred, as all other comet hunters from the last days could not join because of last minute problems. The weather this day was very good the whole night. But Neat was already much weaker than on Mai 14th. 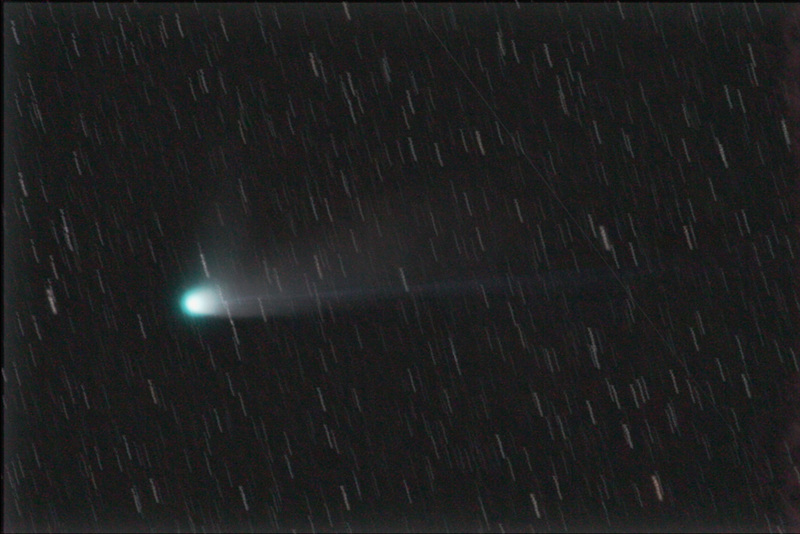 So i increases the exposure times for the single image from 90 seconds to 240 seconds at 1600 ASA. 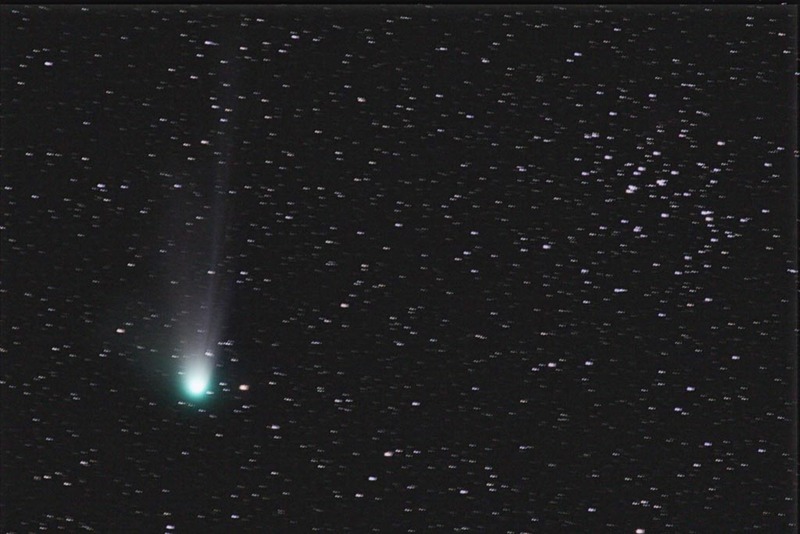 The long tail could still be captured but as mentioned a little weaker. 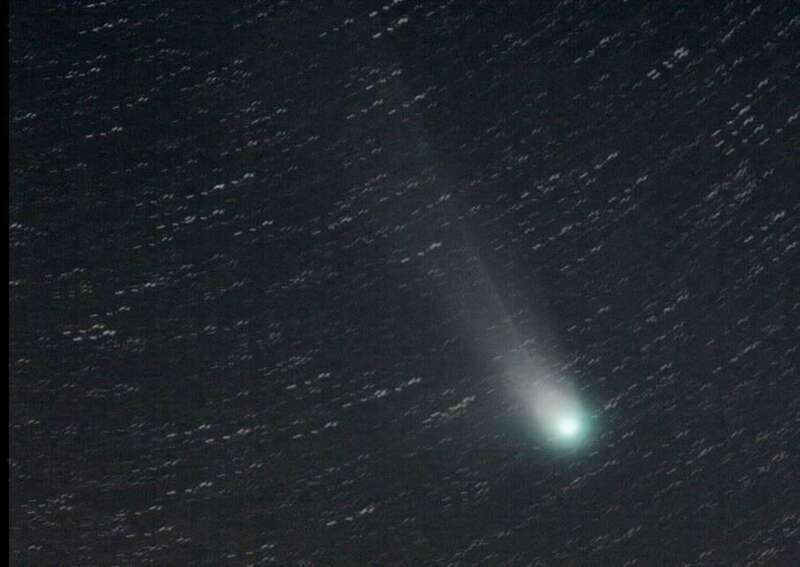 Find below an example of Comet NEAT during this night.